Many businesses, especially small ones or start-ups will not have the necessary capital to setup their own IT department. Having a separate IT team will prove to be more costly for the company as the business will have to pay salaries to each and every member on the IT team plus make room in their office to accommodate them. And more often than not, these employees take a lot of time to fix those IT related issues which will delay the work which needs to be done by the business on a daily basis. This delay leads to downtime that will further increase the expenses of the company caused due to the time wastage. Fortunately, there is another cost-effective option which business owners have at their disposal. There are many companies nowadays that offer start-up companies the ability of Outsourcing the IT department. There are many established IT service providers who have a group of experienced technicians who are so good, they can resolve certain problems over the phone itself. All that the business owner or any of his employees have to do is just contact them on their service number or send them a written intimation of the IT related issue and within minutes an IT executive will reply via phone or email. 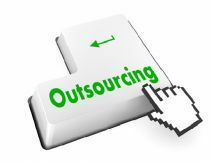 The other benefits of Outsourcing the IT department is that it removes the high expenditure incurred by a company to own and manage an entire IT team. If an expert IT technician is able to resolve all IT related issues over the phone itself, then there will not be any occurrence of costly downtimes as a result of the lengthy repair process of fixing IT faults. The problems will be fixed instantly thus allowing the business to commence its normal work without any loss of valuable time. This in turn makes the business more efficient in delivering the required output to their customers and drive up their profits. In reality, the cost of hiring the services of an outsourced IT team from a provider of these managed IT services will cost much less than having a separate team or IT executives. 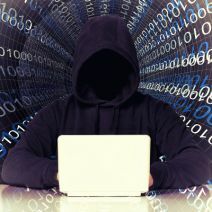 As a business owner, you will never again have to worry about IT issues like computer malfunctions or server errors, as you will always have a team of IT experts ready to back you up at any time. Therefore, you can now give your full concentration to the running of your business instead of wasting time attending to various IT problems that arise from time to time. You will be able to focus on the growth of your business and leave the maintenance of your IT infrastructure to the experts.